Would you rather be a member of a world championship sports team or be the champion of an individual sport? Which sport would you choose? My answer? I'll come to that in a minute. I have played my fair share of sports in my lifetime. 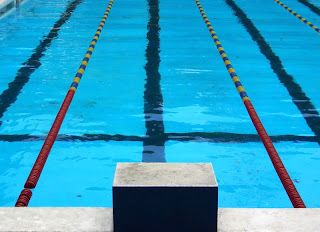 I was on the swimming team since forever but quit because I thought I was too 'cool' for it. Then I joined the basketball team, the soccer team, the softball team. I just wanted to have fun and mess around with my friends, but my dad saw the sports as a way for me to boost my self confidence. I'm clumsy and have very bad coordination. And my dad never once pressured me into being more adventurous in the way I played in games, but as soon as I knew he would have liked me to try harder, do more to score or win, all the fun quickly drained out of it. And it was all down to me taking it too seriously, confusing myself by owning my dad's feelings instead of my own. I was on the track team briefly in high school because that's what I thought he wanted for me. So I don't have great memories of my time in team sports. If I had better eyesight, if I'd gotten lucky one of those times I actually had the ball in soccer or basketball and scored some points maybe things would have been different. Anyway. Long story short, I completely regret dropping the swim team. My coach said I was a natural and I made it to state the same year I joined. I still love swimming. I don't need to have great eyesight, it doesn't matter that I trip over flat, stable surfaces and I enjoyed it. What about you?